The mini PC is basically a short box with 6.5-inch sides that can rise up to be about 1.4-inches tall if doubled or tripled by it's modules. The Elite Slice is a modular PC which will let customers choose which stackable components they want to use, the concept compels people who like the idea of only using the hardware they want and upgrading to the latest systems. It draws back to the idea of selecting components when you build and maintain your own computer — but you don’t have to worry about the more technical aspects of installation and repair. You just snap on the pieces you want and snap off the ones you don’t. Awesome features of the mini PC includes: Ethernet, DisplayPort, HDMI, USB 3.1 Type-C, USB 3.0, and headset jacks, support for an optional fingerprint sensor on the side, and a system that allows you to connect modules simply by stacking them on top of one another. They communicate via USB, and HP says you can theoretically use the system with just a single USB Type-C cable which both provides power to the computer and video output to a display. 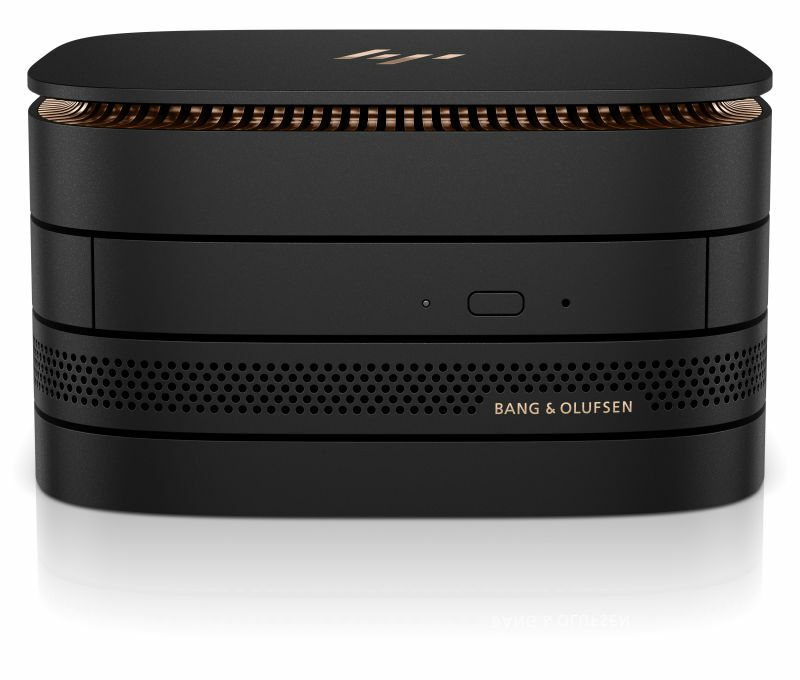 > Stunning compact design and amazing engineering – HP Elite Slice reinvents what it means to be a desktop. 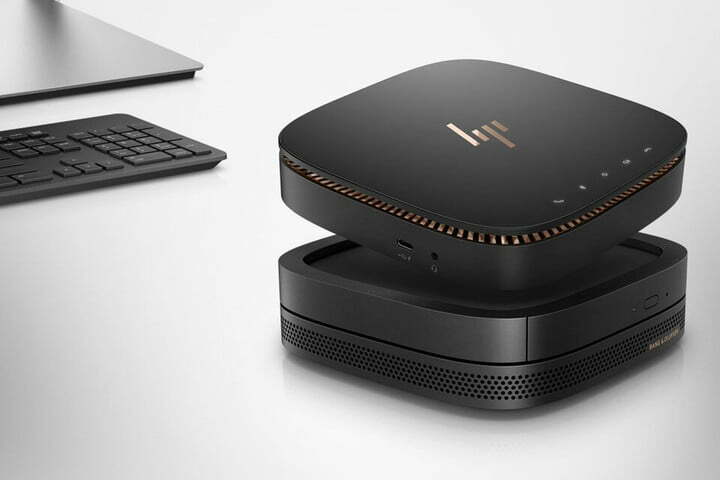 > Customize your HP Elite Slice with the HP Collaboration Cover2 and run calls and conferences at the touch of a finger. > Keep your desk clutter-free with a Charging Cover2 that initiates charging on contact of your up-to-6”diagonal mobile device. 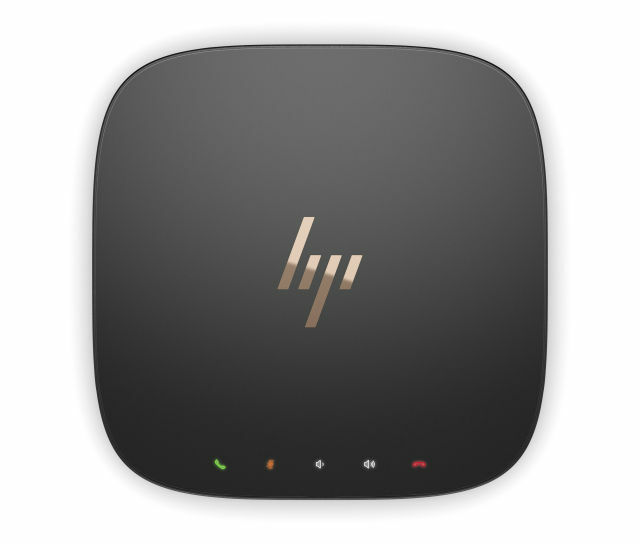 > Snap the optional HP ODD Module to HP Elite Slice with an integrated USB-type connection3 that provides a simple, cable-less solution. > With the HP Audio Module2, you can convert your HP Elite Slice into a speakerphone or a multimedia player with bi-directional HP Noise Cancellation, a dual-microphone array, three speakers, and HP Audio Boost.